Today's bride is a lucky bride with the advent of Pinterest! I think it's fair to say that many of you brides-to-be and those in the planning stages of a special event have taken advantage of this addicting site. You can create virtual collages of inspirational images to organize your ideas. Once you've collected your supplies follow these simple instructions and have some fun! 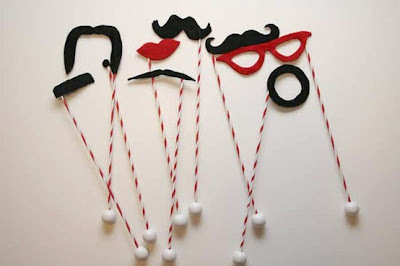 Want a photobooth to spice up your wedding or special event? I entered @DreamGroup's Giveaway for a photobooth rental from @PixstarPhoto Rentals!